The spots are generated by different factors such as sun, snuff, acne, among others. To try and remove stains, then show you how to prepare simple, inexpensive natural masks. To exfoliate the skin and lighten dark spots, mix two tablespoons of chopped parsley, lemon juice and a tablespoon of sugar. When well mixed the ingredients, apply on the treatment area and leave on for 15 minutes. Then, rinse with water. Form a cream, mixing a liquefied carrots, two tablespoons of yogurt and a tablespoon of olive oil. Then applied on the stains and after 15 minutes, rinsing. Perform this treatment every day. Blend a handful or 100 gr. watercress and mix with a tablespoon of olive oil. Apply to the stain and rinse after 15 minutes. For the following homemade recipe we will need, five tablespoons of pureed or mashed pulp of cucumber, five tablespoons of chopped parsley, five tablespoons of sesame oil or wheat germ oil. Add all ingredients in a bottle or jar hermetically closed and marinate for a few days in the dark. After this process, apply the stain and leave for about 20 minutes. Remove with water. Also, mix two tablespoons of fine clay, half orange juice and carrot juice. Spread over the stain and leave until dry. Then, rinse with water. Avoid talking and gesturing during treatment. Another effective natural recipe is to mix lemon juice with two tablespoons of milk and spread on the spots. 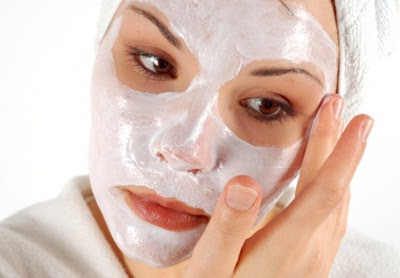 When the mask is dry, apply over pulp of aloe vera (aloe vera) and cover with gauze or thin cloth. Leave on overnight and the next day rinse and apply sunscreen. Put in blender a ripe tomato, chopped, one cup of oatmeal and a tablespoon of lemon juice, blend until creamy. Then applied to the treatment area and rinse after 15 minutes.